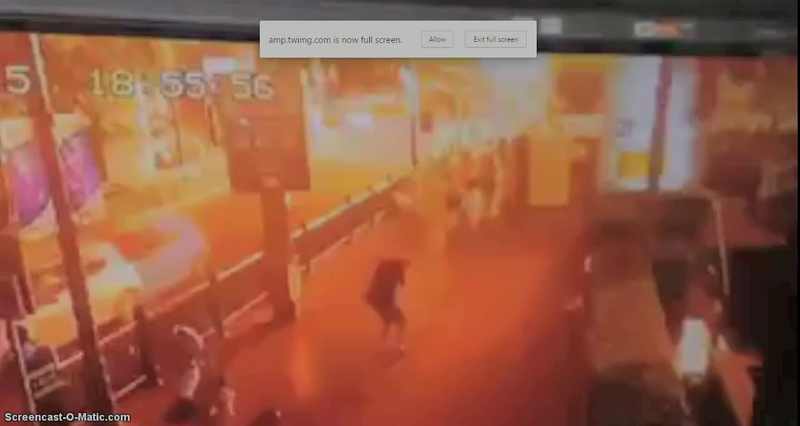 Thailand was struck by a major terrorist attack last night. 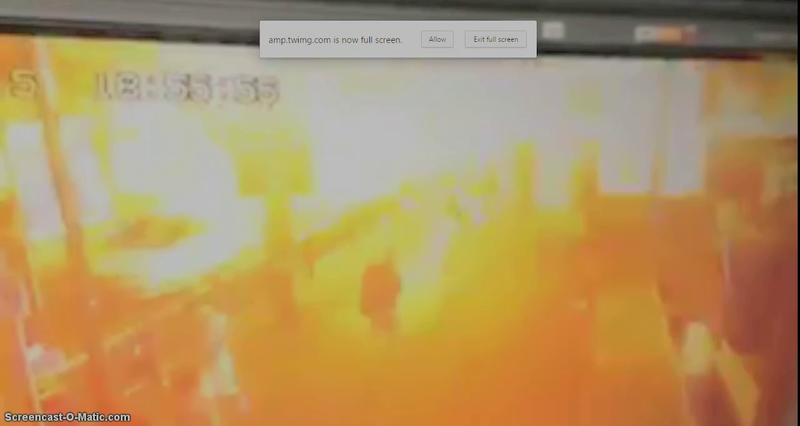 At least 21 people died when a device was detonated outside the popular Hindu Erawan shrine in the early evening. According to the Thai Military the attack was not conducted by the fighting groups involved in a decades long insurgency in three southern provinces. Tony Cartalucci has pointed the finger at the Thaksin Shinawatra faction, and /or their Western backers who have been engaged in an intermittently violent power struggle in Thailand for several years and culminated in a series of counter military takeovers by the opposing political faction, the most recent last year. Aangrifan has implied that the CIA and/or new US Ambassador may be involved. The US track record in support of this idea is very clear. Both sources know more about Thailand than I do, and both may well be right but evidence of the guilt of whoever may be responsible is yet to emerge. Whomever was responsible is clearly motivated by.an intent to harm the Thai economy and cause instability. A number of foreign tourists died in the attack. These acts of economic terrorism are now sadly familiar. There appears to have been no claim of responsibility. 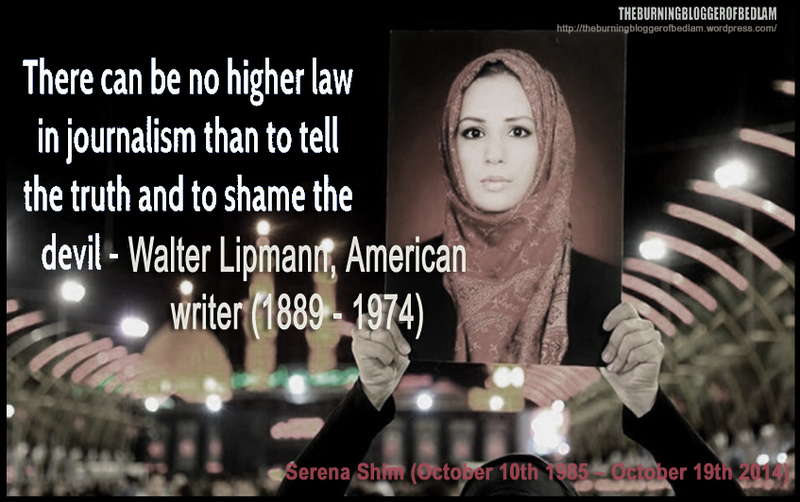 Unless you are trying to build a police state political violence is beyond useless. No-one achieves anything from these atrocities. Even when they achieve a major success, like the Khan Bani Saad attack in Eastern Iraq last month that killed more than a hundred people at the end of Ramadan. there is no achievement. Nothing has changed. Given the fact that Thailand is under military control, there can be no excuses for a failure to solve this case. 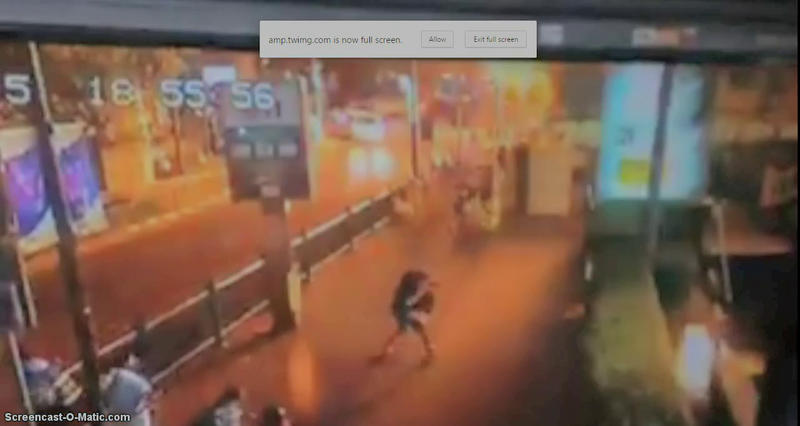 Thai sources are claiming to have captured the person who planted the bomb on CCTV. 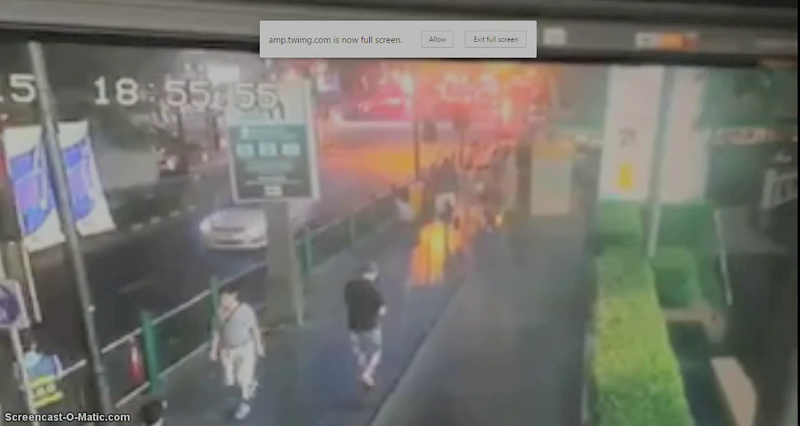 Stills from CCTV footage showing the person Thai authorities allege planted the bomb in Bangkok. According to the Thai Government Tony Cartalucci was correct. Thai authorities are trying to blame it on the “Red Shirts” movement backing the Shinawatra faction or rogue elements within that movement, as this quote makes clear. There have been many mixed and contradictory messages from the Thai authorities regarding these attacks that raise serious questions as to the authenticity of their narrative. 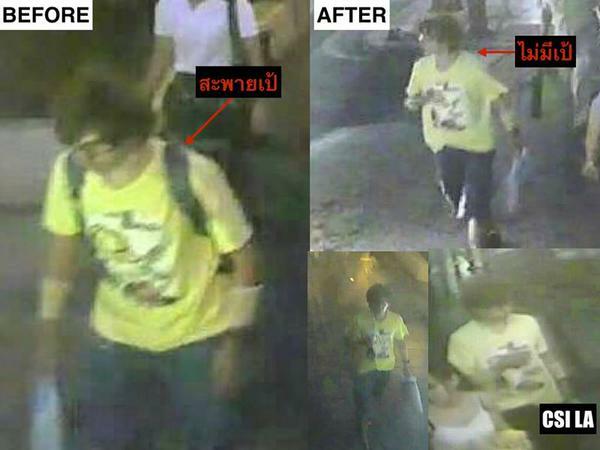 Following a definitive statement that the Thai authorities believed the “Red shirt” supporters were the group from which the attacker was drawn they are now backtracking wildly claiming that they do not know who the individual on the CCTV was nor whether he was Thai. The Western media are predictably attempting to find a Muslim to blame, any Muslim, and if they are unable to blame a South East Asian incarnation of ISIl, they will blame the Muslim insurgents operating in Southern Thailand. It is clear that something is not right here as we seem to be witnessing different factions competing to insert different guilty parties into the narrative regardless of evidence. It now seems that this event was some type of false flag attack, who did it and why they did it will presumably emerge as the investigation proceeds. False-flag fatigue is a challenge for those on the road. CoE, yet again, is a first-class skeptic’s introduction to the truth about the central plan and – attempt to – controllers. Newbie-NWO-wise have an outpost here. Swift, concise, balanced, this bold assessment covers ground that’s always missing outside a credible handful of alt. media. Our potential for weariness could be from the lack of perceived positive outcomes from previous exposure. A by-product of manufactured terror but every alternate punch builds the cumulative towards crashing the crashers. Chinese missionaries living next to a bakery, one day saw their basement wall suddenly collapse, the signs of the pounding machinery producing thousands of cracks over many years, hidden under the surface. This illustrates the reality and our hope. As stated, the lack of meaningful objectives for the suspected local fighters and overseas supporters is in itself a missing wonder from the popular narrative. Bigger-backer’s mercenaries have much to gain and we can imagine the mix of motives combing for a multi-‘national’ effort. Thank you Mark, for what is probably more than the piece deserved. In fact it is all around a far better piece of writing. Thanks.